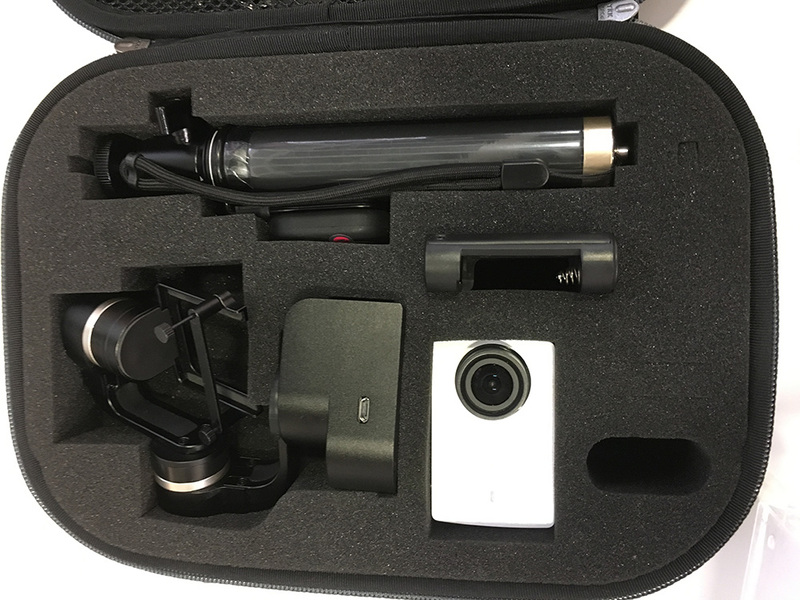 In this article I’ll take a look at YI Gimbal, the first gimbal released by YI Technology. Early 2017 photos of a new gimbal appeared online. 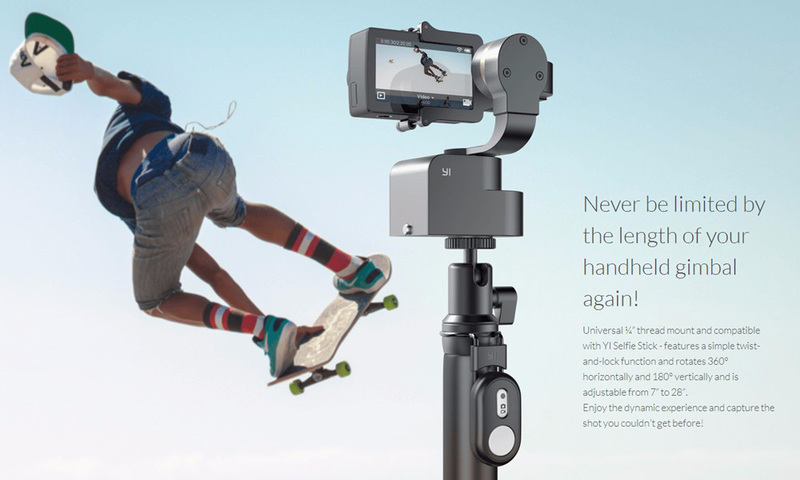 Seems it will be called YI Handheld Gimbal 2. 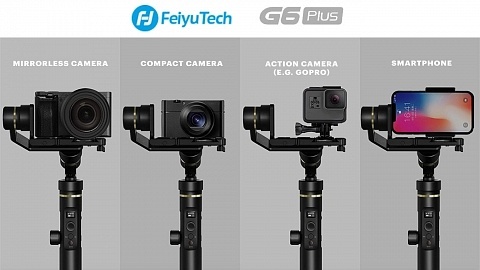 It looks very similar to the Feiyu WG and Zhiyun RiderM gimbal. It has 3 motors for stabilizing all 3 axes, a bracket which secures the camera and on the bottom a compartment for the batteries. YI Gimbal features two 900 mAh batteries which will last for 3h of operation. 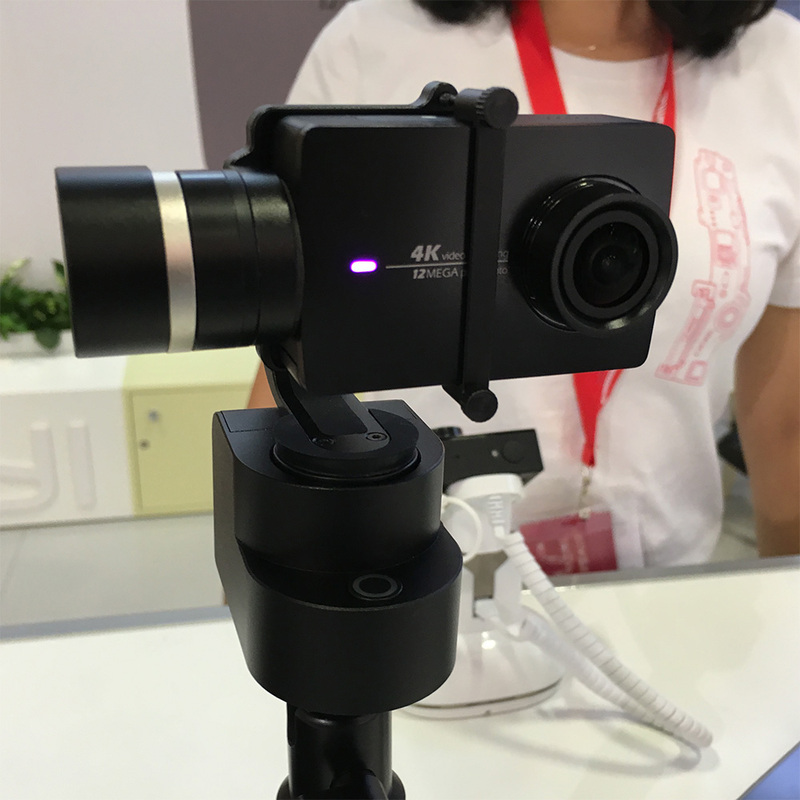 YI 4K Action Camera is held with a bracket. On the bottom Yi Gimbal features a 1/4″ tripod thread, so it can be attached to the YI Monopod or any other photo/video gear. Panning Mode – Where the gimbal’s pan axis is following the movement whereas the others are locked. Locking Mode – All Axes are locked and the camera is facing in the same direction whereas the gimbal is turning. Pan & Tilting Mode – Roll axis is locked whereas the other two follow the movement of the gimbal. The modes are indicated by the LED. Dimensions are 95 x 77 x 75 mm and weights 210g. The bag is the same YI bag that was introduced with YI Action Camera, the foam inlay is designed to hold camera, gimbal, batteries, charger & monopod with remote. The YI Gimbal is a very affordable electronic stabilizer. Remember electronic image stabilization is not possible in 4K resolution (for most action cameras). Sony’s FDR-X3000 has optical image stabilization in 4K, so this gimbal will show equal results. 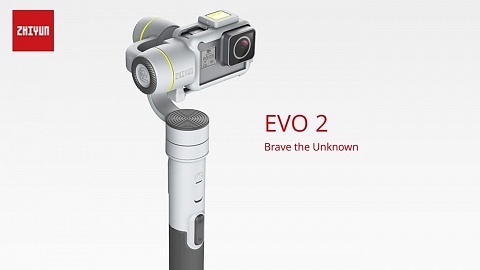 The price tag is very appealing, but therefor the gimbal lacks some features. It doesn’t have any wireless components (wifi nor bluetooth), so can’t be remote controlled and it doesn’t have 360° rotation. 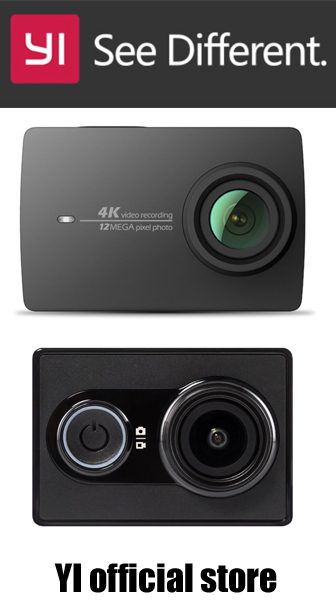 It is available in a bundle with YI 4K Action Camera, but also sold separately. Payload 150g 130g 160g ?